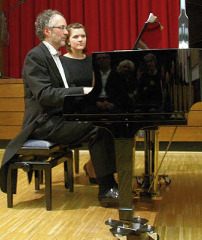 William Cuthbertson has been passionately interested in Chopin since his schooldays. After his studies at the Royal Academy of Music, his love for Chopin lead him to Poland, where he studied for two years with Professor Ludwik Stefanski in Krakow on a Polish government scholarship. In 1996 he performed a series of Chopin recitals in Solothurn, Switzerland (these concerts were in aid of new windows for the Rudolf Steiner School there, and the concerts brought in 11,000 SFR). 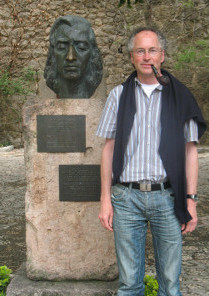 In 2010 he played the same cycle in Waldkirch to commemorate the 200th anniversary of Chopin’s birth. He has played a recital programme with the complete Chopin studies in numerous places, including Amsterdam, Bern, Solothurn, Bad Boll, Waldkirch, and Freiburg. In November 2017, he was a member of the jury at the International Chopin Competition in Bangkok, Thailand: click here for more.